My #dayinSA is filled with advising, assessment, presentations, technology, and teaching. 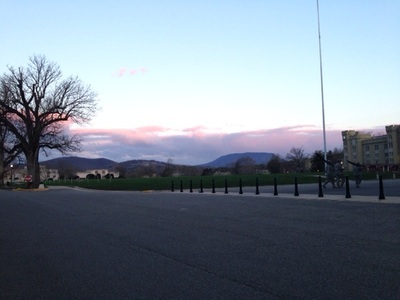 I am the Assistant Director of Career Services at Virginia Military Institute (VMI). I work in an office with a director, office manager, and 5 cadet career ambassadors. Our busiest time of the year is from September to mid November in the fall and from mid January to mid April in the spring. I spend a majority of my time focused on career advising and coaching. During the peak of the semester, I spend around 25-30 hours in half hour advising sessions with cadets. 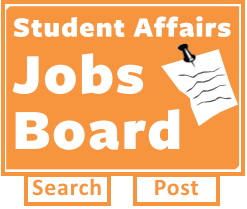 I also coordinate all of the selection, orientation, and assessment for the non-academic internship programs In addition to these tasks, I also administer our online programs (CSO, CareerBeam, Focus 2, VAULT, and Sigi3) and teach 4 sections of a career development course. In addition to my regular work duties and teaching, I also serve on the Institute Service Committee. I recently collaborated with faculty, our facilities staff, and other stakeholders to develop a service-themed Quality Enhancement Program proposal which is under review. VMI is unique in that much of our culture is based around a military system. In my schedule, you’ll see that I include coming to Post (campus) to watch the cadets come together for morning formation. The cadets gather several times a day. I go because I can. I think that it’s a pretty powerful experience to watch these young men and women gather together. I’m not someone with a military background and I am student affairs to my core, but it has been important for me to understand the cadet (student) experience. I have been able to observe field training, sit in on ROTC classes, and have attended many of the different events. For over a year, I served as an Assistant Officer in Charge (AOC) of Barracks. The AOC is a member of the uniformed faculty who monitors the academic buildings during evening study. They also serve as the Artillery Instructor for the cadets firing the evening gun. The evening gun is a 105mm Howitzer cannon. I never would have imagined that I would be responsible for a group of cadets firing a cannon. Sometimes schools come up with slogans that don’t really fit. VMI has a slogan, “Don’t Do Ordinary.” I can say that over the last three years, I have gone the path that is a little bit out of the ordinary. I value the opportunity to work with such outstanding cadets, faculty, and administrators. I’ve included a teaching day and a non-teaching day below to give you an idea of what my regular day in student affairs is like.